Twitter’s apology a cop out or was CEO Jack Dorsey wrong to hold Brahmin-patriarchy poster? A photo of Twitter CEO Jack Dorsey holding a poster that said ‘Smash Brahminal Patriarchy’ triggered social media outrage after Right-wing ideologues called it ‘hate speech’. 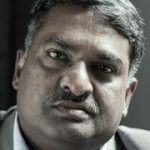 The legal head of Twitter Vijaya Gadde apologised and said: “it is not reflective of our views”. 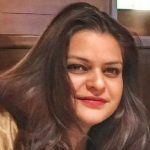 While Twitter India distanced itself from the poster, journalist Anna Vetticad, who was part of the group that met Dorsey, tweeted that the photo was taken by a Twitter representative and sent for distribution. 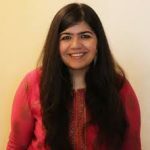 ThePrint asks: Twitter’s apology a cop out or was CEO Jack Dorsey wrong to hold Brahminical-patriarchy poster? Brahminical patriarchy controls all of us in more ways than one. Brahmin women have been one of the victims of this hegemony. The ‘Smash Brahminical patriarchy’ poster which I gifted to Jack Dorsey was questioning precisely this hegemony and concentration of power in the hands of one community. This wasn’t an attempt at hate speech against the Brahmins, but was an attempt to challenge the dominance and sense of superiority that finds its origins in the caste system. Most reactions to that poster were that of hate and trolling by the Hindutva brigade. This should’ve proven to Twitter what we mean by Savarna hegemony. While the reaction from Twitter’s official handle seems balanced to me, the legal head of Twitter India, Vijaya Gadde’s apology was very disturbing. Americans do not know of the Indian caste history, they can’t tell one brown person from another. But as an Asian woman, Vijaya should’ve known better. I gifted two posters to Jack—one was the ‘Smash Brahminical patriarchy’ poster, and another was ‘End caste apartheid’ poster. We did not have enough time with Jack Dorsey to discuss what the posters meant. Ultimately, my ask is simple: People should read what the caste system really entails than blindly follow what the Hindutva brigade has to say. I follow Buddhism and am a compassionate person, my first response to all the trolling, was concern for Jack. The backlash was akin to asking people to apologise for calling out white supremacy. If the concept of Brahmanical patriarchy is alien to anyone, I can sit them down and discuss. I don’t think the apology was a cop-out. When Twitter has explicitly claimed to be a platform against hate speech—then an apology was definitely due. They have to stand true to their words and the standard they have set for themselves. The language used in the poster was against everything Twitter stands for. They say the platform is meant for a healthy debate and discussion. But the language of the poster is doing more damage than promoting a healthy discourse. The constant demonising of Brahmins is what I am against. If, tomorrow, after a terrorist attack by members from the Muslim community, someone posts an anti-Muslim poster on Twitter, will we be okay with it? Of course not. Our ultimate aim must be reconciliation and resolution. Such language only deepens the existing divisions in society, and we could really put Twitter to much better use. Especially, when this language refers to historical ills such as casteism, which has already been corrected through state procedures such as the reservation. India voted an OBC to the highest office in the land in 2014. Where we stand today is very different from where we stood 70 years ago. Constant hitting out against Brahmins, who only make for 5 per cent of this country’s population, must be condemned. A parallel could be drawn with what the Nazis did to the Jews. The latter were also a minority and were also touted to be privileged. Very often one sees very violent depictions of what must be done to Brahmins on Twitter. I, for one, am against all hateful labels. I don’t think they lead to anything constructive and have never used these labels in the past, nor will I ever use them in the future. Gifting the ‘smash Brahminical patriarchy’ poster was in itself an act of subversion and must be appreciated. But if you notice, all the women in that picture are upper caste besides one token Dalit woman. 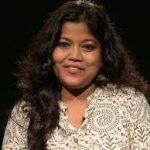 Twitter doesn’t really care about Dalit women, or smashing Brahminical patriarchy. The platform is known to block Dalit voices—like Twitter handle DardEdiscourse has been blocked in the past. Intersectionalism is a buzzword these days, they don’t really care for it in reality. And so, I wasn’t surprised when Twitter issued that clarification. The tweet from the legal head of Twitter India, Vijaya Gadde is appalling but expected. If they didn’t care about our issues, why did they invite us to begin with? Once they saw it starting to backfire, they copped out. Twitter doesn’t have any oppressed caste person as their employee. So, it is evident that this was nothing but a token gesture. Brahminical patriarchy impacts everyone, rather ruthlessly. This includes Brahmin women. Anyone who is socially aware would know that. But we wouldn’t expect that from Twitter. Now that they are facing this backlash from the Brahmins, I wouldn’t support them. There is no difference whatsoever between those online making such horrendous statements against the poster, and Twitter India. Both are apologists of the caste system. They only care for trends and nothing else. One token Dalit here, one token Muslim there—they don’t believe in any substantial actions of any sort. If Twitter needed any more evidence that it has become a platform for Right-wing hate groups, not just in the West but in the East as well, it found that evidence aplenty in the recent ‘outrage’. Ironically, its CEO Jack Dorsey’s mission in India was to correct the public perception that the Twitter platform promotes hate, outrage and a culture of lynch mobs. 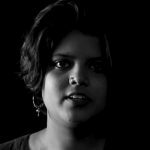 Why doesn’t anybody want to end Brahminical patriarchy? White privilege? Or, anti-Semitism? It is ingenious to argue that by holding the ‘Smash Brahminical Patriarchy’ poster, Jack Dorsey and Twitter have promoted/ endorsed ‘hate speech’ against Brahmins. Brahminical patriarchy is not about Brahmins. They are undoubtedly guilty of promoting a social order that wreaked havoc on the whole country, beginning with the Dalits, and other lower castes, and, above all, their own women. At least normatively, the whole freedom movement was all about a) achieving political freedom from the British, and b) re-organising social order on the lines of modern values of equality of all persons, etc. How else does one explain the Constitution of India? It granted all Indians the right to equality, by, well, smashing the Brahminical patriarchy. Perhaps, unbeknownst to Dorsey is the fact that by holding that poster he upheld the Indian Constitution and the values it stands by. 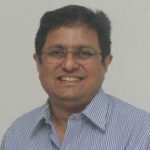 Do his critics want him to endorse Brahminical patriarchy? Or to declare its virtues? Let’s not ask a foreigner. Ask Dalits or Brahmin women whether they want to smash Brahminical patriarchy or worship it and follow it. I am tempted to turn the question and ask –how would Twitter India have reacted if an ordinary tweeple had posted the same message on her timeline and triggered outrage? Would Twitter have applied the same standard to “understand all sides of important public conversations”? I am not so sure. The argument is flawed on a number of counts. First, the statement from Twitter India categorically states it was a “closed door discussion”. So, if the rest of the conversation was shared in the public domain, then putting out this poster does assume significance. Second, it would have been another matter if the participant had held her own poster. One would have understood if all the members of the select group carried something that they believed in. But, by providing this photo-op to just one person did Jack unwittingly lend passive support to her cause, just as retweets are sometimes construed as endorsement? Most likely it was none of the above but a simple error of judgement and oversight by the local PR in-charge. However, it does raise another point. Are foreign visitors of multinational giants less careful about treading on local sensitivities than say, for example, they would be in a country like China, Japan or Pakistan? And, for that should the hosts share some responsibility for not sensitising the expatriates enough and even let them take a chalta hain attitude when it comes to India and Indians? Finally, notwithstanding the minor storm, it does show that Indian Twitterati, argumentative and combative as they might appear, is largely an essentially tolerant lot. Taking a stand is often a risky business move. Sometimes it works out (think of Nike and Colin Kaepernick). Often, however, the initial backlash confuses and stuns organisations. 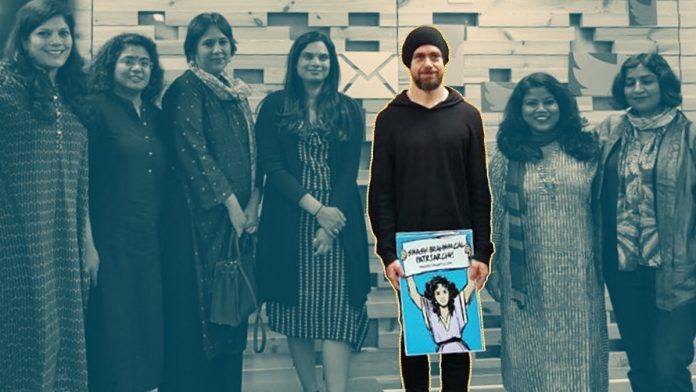 Jack Dorsey’s recent India recce has been in the news for a variety of reasons, but the furore over him holding up a ‘smash Brahmanical patriarchy’ poster has been the loudest narrative in the mix. Twitter’s quick justification is understandable, sure, but I wish they hadn’t given one. Or if they had, I wish they had framed it as Twitter being a champion of all voices. By quickly apologising and allowing this barrage of abuse to continue, they have given tacit approval to the trolling and harm Right-wing accounts cause every day to minority voices in India. By saying ‘we don’t mean to offend’, they’ve made it clear that they think anything beyond the status quo is not theirs to champion. It’s disappointing, but not surprising. Twitter has been incredibly comfortable with abuse in the garb of ‘an equal platform’. If anything, I just hope this gives Jack Dorsey a small glimpse into the kind of abuse, threats, and harm that comes the way of women, minorities, and anyone who dissents. I hope he takes this experience and makes some change out of it. May be this entire episode (which will blow over soon enough, we just like outraging) will galvanise some security changes and force the platform to acknowledge that it is becoming a toxic space. By Fatima Khan, journalist from ThePrint. You can follow her on twitter @khanthefatima. Previous articleDo Amritsar & Kashmir violence signal internal security crisis like ‘90s under Ajit Doval? Next articleVirat Kohli’s Team India best bet to beat Australia or are we taking home team for granted? Those who have supported the vindictive poster has conveniently labelled those enraged by the poster as right-wing-trolls. What hypocrisy? If they are really standing for equal treatment for all, then they would have made an attempt at clarifying why it is not a vindictive poster. The interesting part was how one accuses Twitter as an apologist. Well, we all know what writing with an agenda looks like. You can google ‘Biblical Patriarchy / Christian Patriarchy / Chinese Patriarchy etc as these are actual terms used in the world to describe the nature of patriarchy. Similarly, Brahminical patriarchy is not an anti-brahmin term but a patriarchy system influenced by Brahmanical systems of our pasts ( There is no shame in acknowledging it. And, just as someone is against patriarchy doesn’t mean being against Males / Men – similarly being against Christian or Brahminical Patriarchy doesn’t mean anti-christian or anti-brahmin) …… Instead of being a sentimental lot we all need to be the seeking lot. Ao, wHy not use “Hindu Patriarchy”? Why single out Brahmins? Convenient scapegoats? There is more patriarchy in Islam than Sanatan Dharma. I can give you quotes from Quran itself.